Oh my goodness, did someone leave the oven door open? Gracious, it is a hot one out there today. 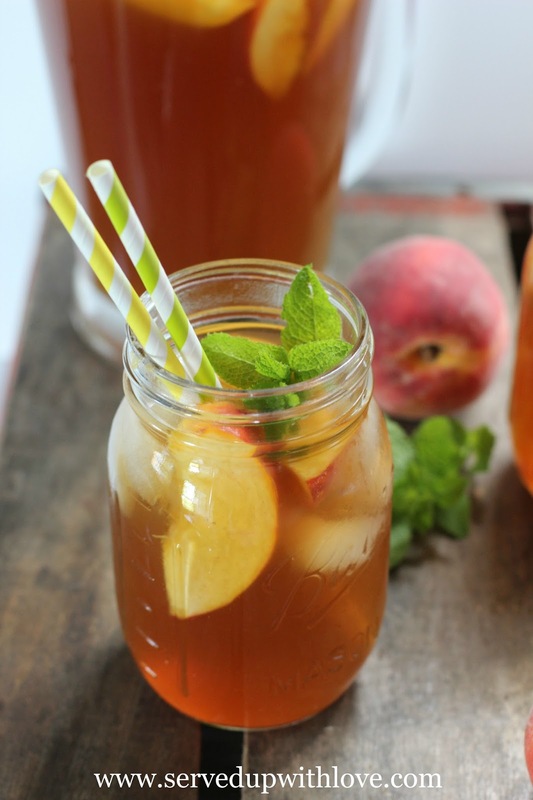 Peach Tea, coming right up! 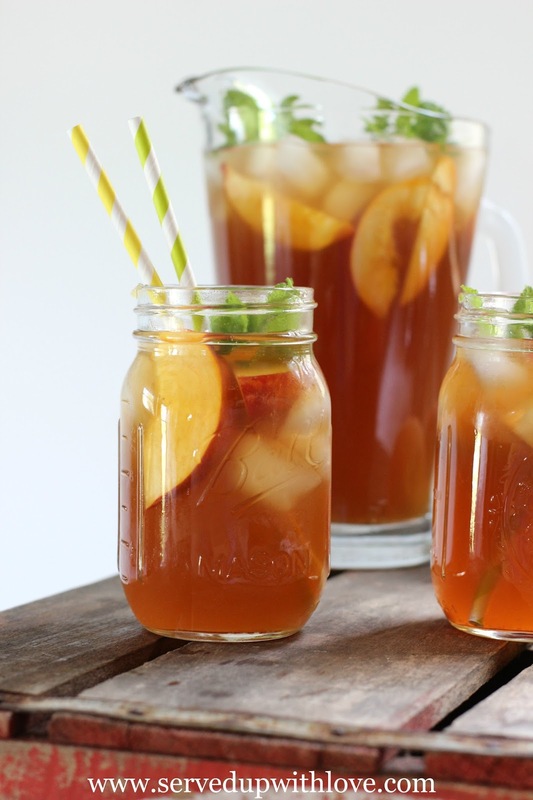 During the dog days of summer, we tend to drink A LOT of iced tea. The heat and humidity can be a killer here in Virginia so it is a must. 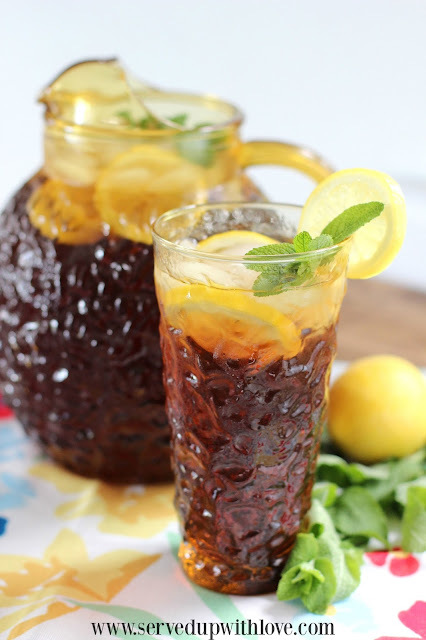 I find myself making lemonade and iced tea every time I head into the kitchen. On a recent quick trip to one of our favorite road side stands, I picked up a bunch of fresh peaches. Now these peaches were good all on their own. The kind you bite into and the juice runs down your arm. Yeah, that is when you know they are good. 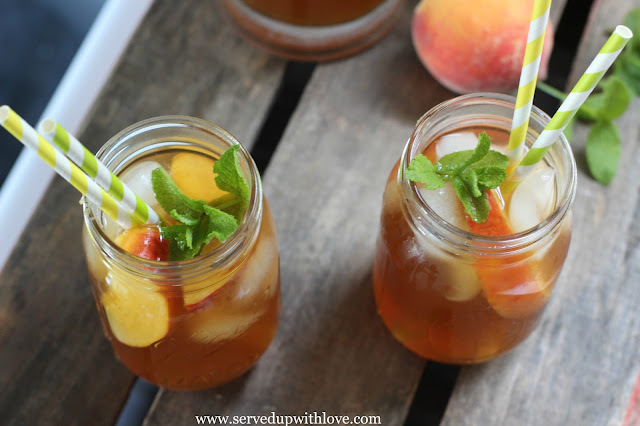 When I was making one of the many pitchers of tea, I decided to make some Peach Tea with these sweet and juicy peaches. Oh my goodness, this Peach Tea was super refreshing and hit the spot. 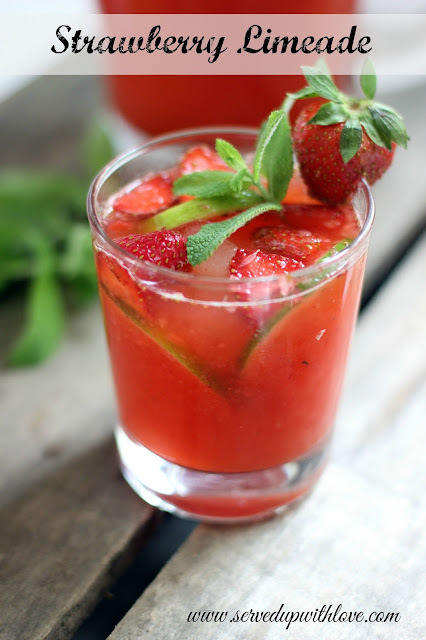 It was perfect to quench our thirst on these hot days. Where have you been all my life? Wherever you are friends, stay cool and make some Peach Tea! 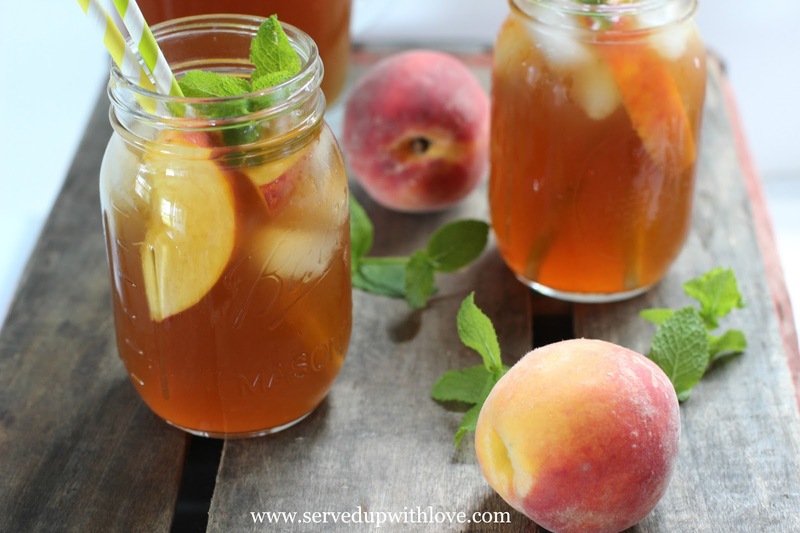 To make simple syrup, bring water, sugar, and sliced peaches to a boil. Reduce heat to medium and continue to simmer for 2-3 minutes. Crush peach slices as you stir to dissolve sugar. Turn off heat, cover, and let sit for 30 minutes. In a separate pan, steep tea bags in water for 5 minutes. Remove tea bags and place in a pitcher. Strain syrup through a fine mesh strainer to remove fruit pieces. Add syrup to tea and serve over ice. 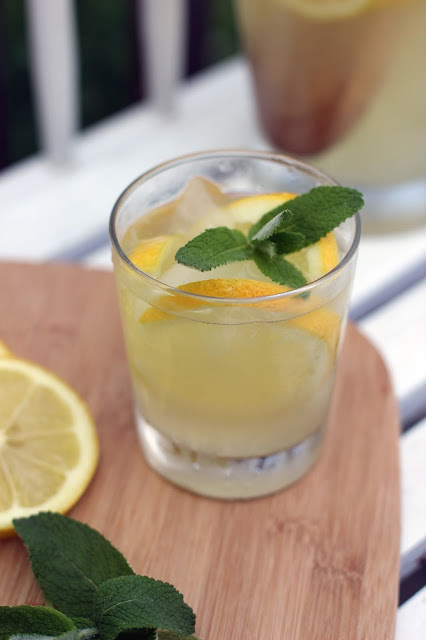 Garnish with fresh peach slices and mint if desired.